This paper follows the story of Kurdish popular music or, rather, the politicization of Kurdish folk songs practiced in Turkey during the 1990s, when popular Kurdish musicians changed the content of some folk songs and started to compose new political songs. 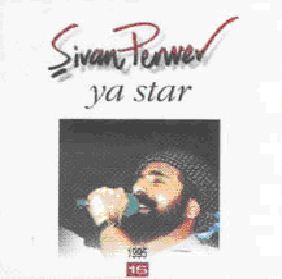 Popular figures of Kurdish music, like Şiwan Perwer, Nizamettin Ari�, and Ciwan Haco started to sing the altered versions of these folk songs and new songs at their concerts. In addition, they included such songs in their albums. The most recent Kurdish national/separatist movement, the PKK , played a crucial role in this transformation of folk songs from the older styles of singing thanks to the popularity and power of the movement on and among Kurds. During the years in which the power and the violent tactics of the movement grew, the lyrics of popular Kurdish songs started embrace new words such as Apo  azad� (freedom), gerilla (guerilla) and so forth. The beginning of the 1990s also witnessed the rise of Kurdish protest music conducted and mainly practiced by Kurdish young people who came together at cultural centers in the metropolitan areas. This was due to the proliferation of political tension in that period. These youngsters have established dozens of koms (musical groups), whose repertoire comprised politicized folk songs re-arranged in western styles and political compositions. The last part of the paper is devoted to a discussion of the repertoires and arrangement styles of the koms.